** spoiler alert ** I'll admit, I cheated. Since I was listening to this, I sought out reviews with spoilers so I could see where the story was heading because the first disc interested me, but I didn't know if I wanted to keep listening. After reading the review with spoilers, I kept listening and I'm happy I did, this was a refreshing adaptation of Sense and Sensibility. 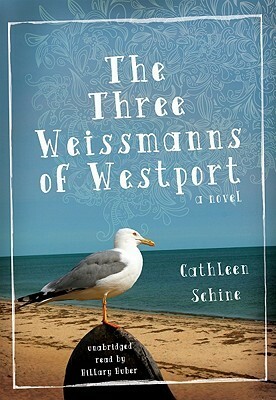 Sign into Goodreads to see if any of your friends have read The Three Weissmanns of Westport. 50.0% "If I hadn't of cheated and read a spoiler I don't think I would have made it this far, I'm glad I did!"